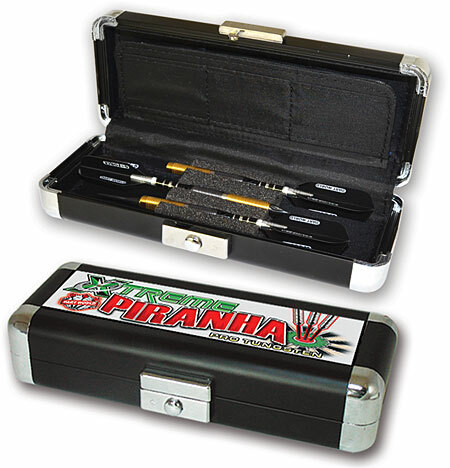 Dart World's latest Premium Line of Tungsten Darts- the Xtreme Piranha! Each Barrel is machine cut, enabling a very unique tactile grip. This line is a step-above the Piranha Razor range- and features Top Spin Shafts and packaged in the Awesome Metal Galaxy Case. Four Barrel Styles!